It is ironical that with all the competition, in our upbringing, we are often not taught how to handle failure. Respect is sometimes mistaken as fear. Instead of using a mistake as a learning experience we are penalized for it. Individuals evolving under these unfortunate circumstances often end up lacking one of the key ingredients in having a successful career and professional development- self confidence. And trust us, confidence has nothing to do with using the right deodorant or toothpaste before an interview, as many TV commercials would have you believe. It is a quality of your personality, not your hygiene products! And why is it important? Remember the time when you decided not to perform in the school play, lest you were caught embarrassed on the stage? Didn’t you regret your decision when the actors, with all that terrible acting, still ended up having a fantastic time? Does it bother you that it is always Bob who is chosen for client meetings? Maybe it has something to do with you not voicing your ideas during staff meetings. It is no fault of the manager to think that if Bob dares, he cares! The lack of self confidence can lead to missed opportunities. What it is is ones’ belief and trust in his abilities. What it is not is ones’ grandiose view of himself, aka narcissism. 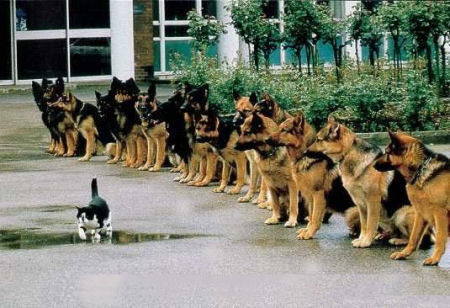 Self confidence or self esteem are not just leadership qualities. Leaders and managers do have to build or inspire self confidence in their team members, but the employees themselves need to recognize how important it is for improving their performance. If you have realized your lack of confidence, maybe you should sit down for the next section. It will blow. But don’t you worry, this article will try to get you to steer towards making the positive move of wanting to make a change. What do you lose by lacking self confidence at work? If you are meek about the outcomes of your endeavors, you will always try to play it safe. Sadly, that’s not how competition works. If you want to be seen, heard or read about, you have to build an image of someone who is not scared to take on responsibilities and initiatives. It is also possible that you feel that your accomplishments are not well deserved. That you managed to reach where you are by fluke and this would be as good as it gets. Not to make this a self-healing read, let us ask one simple question. How many of you have heard of Traf-O-Data? Well, it was a company, established in the glamorous 80s, to collect traffic data for traffic engineers. When their product, the indomitable and the Terminator like, Traf-O-Data 8008 failed during the first demo, their creators decided to take the learnings and move on to their next initiative – Microsoft. Yes! The Traf-O-Data was Bill Gates and Paul Allen’s first company. Now, if that is not risk taking then what is! Their first company was not a disaster and they could have continued playing it safe with their working products and being moderately rich. Instead they now have assets greater than the GDP of most small countries. This goes hand in hand with taking minimum risks. Why else would you be avoiding challenging moves? When you lack confidence, you tend to see failures as solid proof of your incompetence, not as learning opportunities. Add to that the fact that you may be dealt a bad hand in management with no time for mistakes. Well, fear is a driver and not a motivator. While some studies claim that fear tends to be humbling and perhaps even adding good reason to try your best to perform well, it cannot be a sustainable force to make you continue to perform so. There could be times when your fear of failure becomes so overwhelming that you begin to avoid challenges at all. Not to mention the fact that low confident employees tend to handle stress quite poorly. Must be that fear of failure that keeps nagging at their adrenal glands. Decision making requires having faith in yourself. Without self-confidence you will keep second guessing yourself. And your performance in those situations.….that’s all she wrote. Now that you are sufficiently spooked, let us allay your fears of being perpetually trapped in a low confidence body. There must be ways to boost your confidence! How to be more confident at work? Goes back to the Greek tragedy above. When you stop doubting your badges and begin to take pride in them, you start to see a change in your approach to the way you handle tasks. You will generally feel more capable of taking on responsibilities and treat failure as that outcome that you now know doesn’t work. If you feel the lack of knowledge holding you back, just ask. Unless your stars are really unfavorable, most people will willingly oblige. Your openness to unravel unknown information will increase your faith in the certainty of what you know. One of the secrets of confidence is to keep yourself relevant and indispensable to your team. Learn as and when you can. Your increasing technical skills will inspire confidence. Take some time to recharge yourself. Unwind and get to know your coworkers socially. A personal connection helps to get rid of the trepidations of speaking in front of them at meetings. If you can hang with them during happy hour, you can easily express yourself, around them. Don’t dwell on what everyone’s been saying. You aren’t alone in this one. Nearly everyone is obsessed with other’s perception of them, making it hard to function without being too self aware. Let go off reflections and concentrate on what makes you perform better. Much can be said about this. In fact, if interested, read reasons why employee positive attitude is important. To summarize, a positive attitude removes fear, negativity (duh! ), anxiety and stress. With these few tips, you can be assured that your confidence will grow as long as you practice them. Now, isn’t that a good long stride towards making you a charmer? But before we conclude, let’s also find out how your manager can act to inspire confidence in his team. What can Managers do to build team confidence? We have a little dose of gyaan for managers. For an in depth read, try these links – Managerial Coaching Skills, Managerial People Skills and Leadership Skills. Positive feedback can go a long way in restoring damaged confidence. Enhance your team’s self image by letting them know that they have done a good job. This one makes it easy for your team members to have an open and healthy working relationship with you and each other. Healthy relationships foster good will and confidence. Don’t hark orders, unless reading from a menu. Instead, encourage your team to perform better. Your leadership skills will be reflected in their performance. Living under your fear will only bear the results they think you like, not necessarily the results they are satisfied with. If you take away freedom, independent and creative thinking will die soon. You will never run out of ways to find out a thousand confidence building exercises that can transform your personality from a chihuahua to a Bulldog. But the ultimate change happens only when you recognize what’s limiting your growth and that you want to alter your situation. Self confidence is not a consequence of having reached perfection. It is the faith in your abilities and the desire to improve. So, next time you have to step into that office floor, cologne or not, definitely wear your confidence on your sleeve.